When of the best things about summer and Houston is the changing weather. I love to keep it light happy and excited that's why like wearing titis shirts. Dyke I shirts are great for printing one colors on them and getting your message across from the moon. Being in the printing for many years die-Tye I can not get Over how brilliant and eye-catching a dyed tie-dye shirt is. In today's your lucky day you get to get a tie dye at a 20% off. Order 24 or more tie-dye shirts I get them at this incredible price of only $16.99 with the one color print. 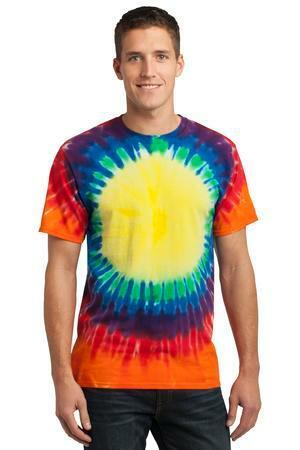 Normally there priced at $20 but today you can get to tie dye for only 16 $99. So don't wait order from Adaprint today. If you're still looking for regular T-shirts you might want to consider our affordable option sale I'm including a link below to find out more.